for with this technique alone one can commune with spirit." Never before has sanctuary been more needed or harder to find than today. In our world of rapid change where chaos rules, stress related illness is at an all-time high. We have lost our center and with it our wellbeing. We all need a place of safety and beauty to buffer the outside world in which to rest and heal. 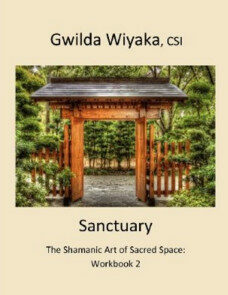 Without sanctuary, our spirit languishes and we lose our ability to create and manifest in our lives. from a centered place that we can access personal power." 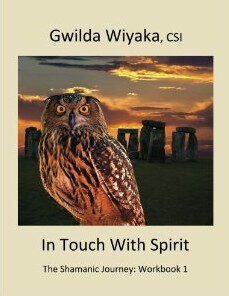 Gwilda Wiyaka is the first of a series of books based on Gwilda’s writings, which open every episode of “The Science Of Magic Radio Show. 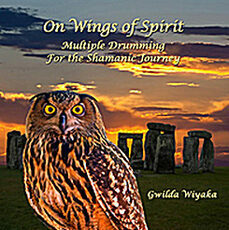 "Drawing on the subject matter of each guest, and armed with over forty years’ experience in shamanism, thirty years in alternative health, and degrees in Psychology and Religious Studies, Gwilda introduces relevant and leading edge information that supports spiritual evolution and personal empowerment.Rich with wisdom and inspirational quotes, packaged in digestible segments, this is a book that will pull you from cover to cover. It will serve as a daily inspirational reader for years to come. SO WE'RE STILL HERE. NOW WHAT? For surviving and thriving in the new era, don't miss out on this vitally important and life changing information. So We're Still Here Now What? 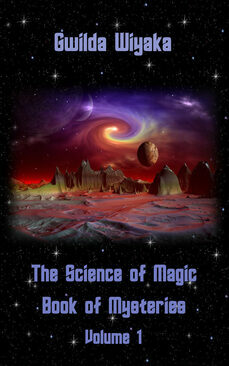 is a guidebook to living in the new energies of the Aquarian era. Through the use of our forgotten power to manage matter at the quantum level, we can direct manifestation. Not only will application of the principles outlined in this book give the reader answers to ancient spiritual questions, it will offer practical, empowering solutions. Information in So We're Still Here Now What? is revolutionary, evolutionary and as old as time itself. This book is not just a mental exercise in spirituality, but a primer of solid principles enabling one to manifest change at all four levels of life; physical, emotional, mental, and spiritual. 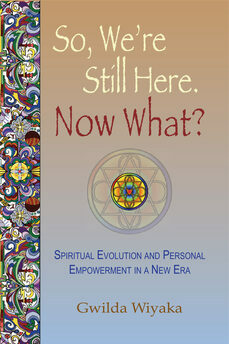 This is a “must read” for all students of spirituality and the shamanic arts. 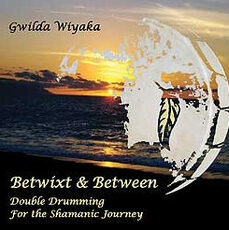 This drumming CD performed by Gwilda Wiyaka is played on two hand held Native American style drums, "Horse" & "Wolf" respectively. 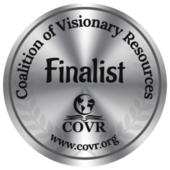 It is designed for use in entering the shamanic journey trance and has four convenient timed tracks with a call back at the end of each for different length journeys. There are: 1 hr., 45 min., 30 min., and 15 min. Journeys to choose from. This CD (or MP3) will fulfill the CD requirement for the Path Home Shamanic Arts School Practitioner Certification Program for length of journeys and synchronized call back. 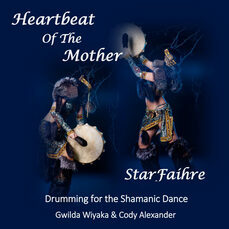 This CD, composed with the rich fullness of four hand-held Lakota-style hoop drums, was created for use in the Path Home Shamanic Arts School programs. The unique, shamanically crafted rhythms were specifically designed to facilitate the altered state of consciousness known as 'the shamanic journey trance". It consists of four conveniently timed tracks providing options for 15 min., 30 min., 45 min., and 60min. Journeys with a "call back" beat at the end of each. A call back is a special drumming pattern that signals for you to come back from your shamanic journey. This CD (or MP3) will fulfill the CD requirement for the Path Home Shamanic Arts School Practitioner Certification Program for length of journeys and synchronized call back. During these times of intense shifts and deep transformation, we may find ourselves standing at the precipice of life changing revelations. WINDS OF TIME is a channeled work designed to assist this transformation. What is seen as deep suffering can then be perceived as joy, hopelessness as hope disguised, the alpha and the omega, the beginning and the end coexisting in the one moment of time. Through ancient and modern shamanic songs, sacred music is the sound of the soul that carries down the millennia on the the winds of time. 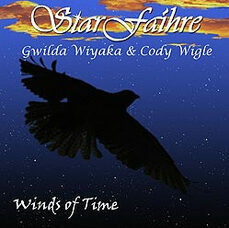 Experience music that truly heals through these songs created and performed by StarFaihre's Gwilda Wiyaka and Cody Wigle.